The buzzword in the Arab world nowadays is ‘change’. There has been a shift from criticising the Israel-Palestinian issue to protesting against internal state hegemony. The Arab Spring is not over yet. Tahrir square is protesting again. Tunisia and Libya are both unsettled and there are ever more crackdowns across Syria. King Hamad of Bahrain will be addressing his nation today. And, women in the Kingdom of Saudi Arabia (KSA) have taken to the wheels. Historically, this change, among others, was due. Socio-economic development in the region and the unjust polarisation of economic wealth across the spectrum, in the Gulf Cooperation Council (GCC) and beyond, had made this change inevitable. And, as the boat rocked, the once sleepy waters stirred some monarchies and civil societies towards recognising that ‘change’ is here. What has dispensed this year is not phenomenal, but can be termed encouraging. Economic packages in KSA, Bahrain and Qatar, concessions in Bahrain, strong emiratisation goal setting in the United Arab Emirates (UAE) and KSA’s refusal to accept International Monetary Fund (IMF) loans for a beleaguered Egypt, are indicators of self empowerment, dictated by the people. Regionally, the GCC requires steep investment in Human Capital Development and persuasive programmes for women’s empowerment. Social issues that need immediate remedial measures include better quality of education across genders, more colleges and encouragement of innovation among the youth. As an expatriate living in Dubai, I have felt that regional adoption of western products and ideas are not always beneficial. Stakeholders should be aware of the perils associated with imported ideals that are non-reflective of local cultures and history. The Arab world can seize this time to initiate dialogue within communities, strengthen the local or district councils, encourage historical learning for knowledge bank creation and inculcate a sense of patriotic pride. Especially, the GCC should use its vast economic wealth for sustainable evolution of its societies through investments in renewable energy and products. Within the UAE, constructive social change began before the Arab Spring descended on the region. Government and society led initiatives recognising social issues have already been discussed at strategic forums and are being addressed by policy makers. Sustainable energy usage, mainstreaming quality education, culture protection from a non-tourism perspective, encouragement of arts and gender diversity in government and corporate sectors are all affirmative actions. Last year’s Abraaj led celebration of entrepreneurship has been key in encouraging innovation and enterprise development across GCC. Grassroots organizations like CareZone, Baraka Ventures, The HUB-UAE, Bokashi-Dubai & Goodgate among others are working alongside volunteer groups like PCRF (Palestine relief), Dubai for Acumen & Salaam Pakistan to contribute towards positive dialogue and action in mobilising both local and expat communities. Across the Arab world, social and print media is ripe with journalists and activists, questioning mainstream thought that is has become redundant with time. Arab societies understand that the region is in flux and voicing the concern will determine action. Organic growth within councils, addressing and seeking solutions internally will strengthen the youths and governments. The Khalifa Fund for Enterprise Development is an excellent mechanism to drive Small and Medium Enterprise (SME) growth using local sourced product and peoples. 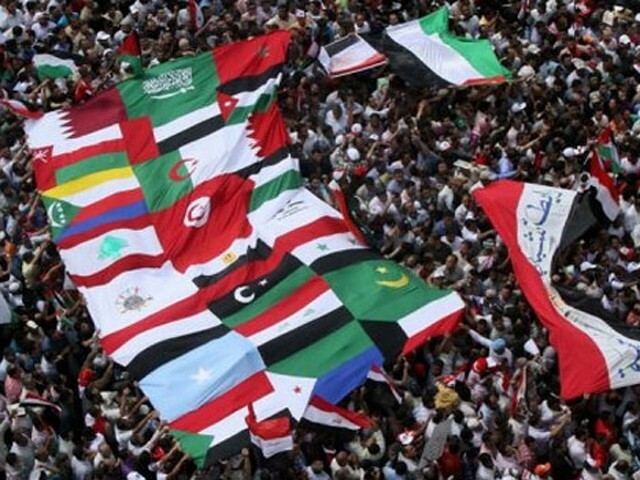 The Arab Spring is an opportunity for everyone really, not just for society, but more so for the governments. The only element of fear is the corruption of goodwill and intent by foreign vested interests dictated by the oil starved developed economies. Shopping festival: Dubai's crowning glory! United Arab Emirates (UAE) and KSA’s refusal to accept International Monetary Fund (IMF) loans for a beleaguered Egypt You really think the people protesting against despots and monarchies such as those that rule the UAE and KSA are heartened because these governments have refused to support IMF support for Egypt? Please dont sugar coat the UAE for pittys sake. This is a country whose rulers are paying billions of dollars to the founder of Blackwater to setup a mercenary army to violently put down any protests by migrant workers. Since you are an ex-pat in UAE, why dont you highlight the pathetic state of migrant workers in the UAE and other gulf states? For them all the “reforms” and “achievements” have little or no impact! These economic packages the governments of UAE, KSA and Qatar have announced are nothing more than an attempt to buy of their citizenry. Arab uprising? What is that? In Egypt, the people organised protests not for economic development or democracy, they wanted to show their anger against a government which was perceived as pro-US and not sufficiently hostile to Israel. So, they want a regime which will score 10 out of 10 in the ‘anti-Israel’ barometer and they also want more islamization of society. That’s why many people that the next regime the Egyptians get will be headed by Muslim Brotherhood guys, who are good at ticking all the boxes. Egyptians don’t mind one dictator being replaced with another dictator as long as the new one would show the middle finger to both US and Israel. That is the essence of these protests. Because, economic development and prosperity cannot happen in an insular society and it has to happen with the country getting globalized, integrating with all societies. Egypt, with its stress on Islamic values, would have none of that. For Islam, the West (where the markets are) is essentially evil and antithetical to its tenets. Arabs want a government that will be hostile to US and Israel and would also introduce Khomenei/Zia ul Haq type of reforms in their country.